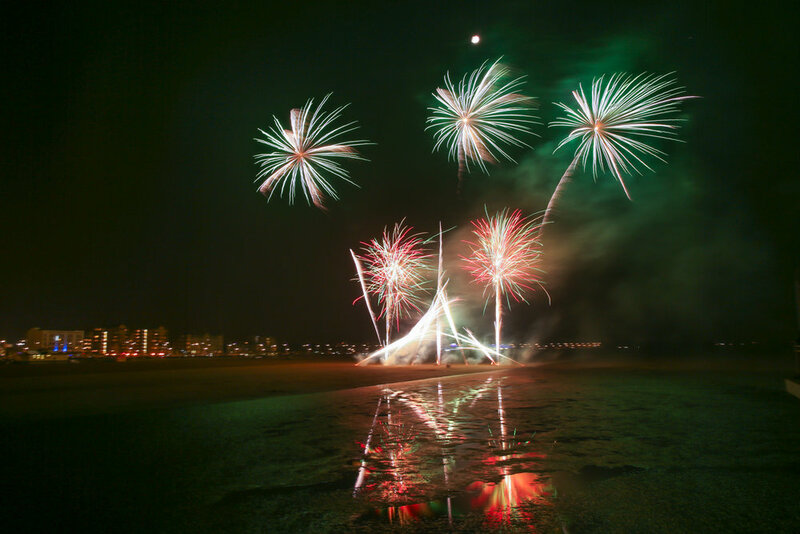 Spectacular views of Grant Pier lit up by the fireworks is a must see during the festive season in November and December in Weston-Super-Mare. Although the display can be viewed from any central point of the town, the best view point is considered to be from the Grand Pier itself. 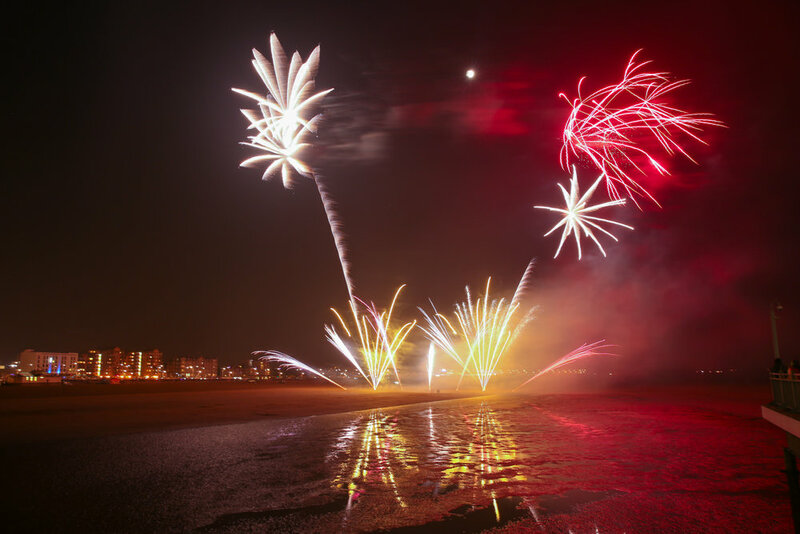 The spectacular fireworks display was set up during the low tide when the sea bottom was accessible on foot. This was created a wonderful reflection in the wet sand.